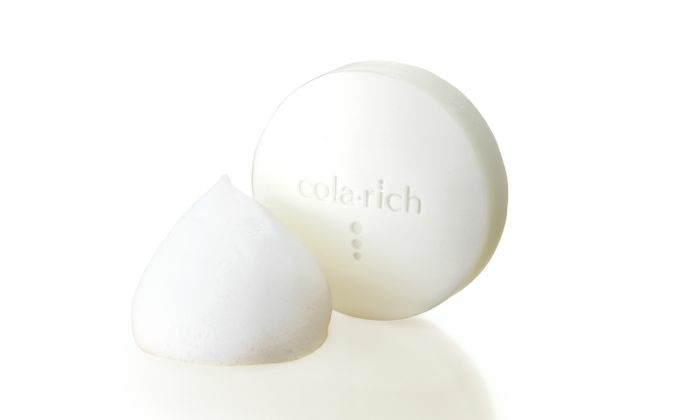 Smooth, springy foam gently envelops the skin and clears it of dirt! With moisturizing ingredients such as permeating type* collagen※, hyaluronic acid※, silk based smooth hydrolyzed silk※, and sericin※, this product moisturizes the skin while washing, giving it a soft and smooth finish. 1. Wet half of foaming net and place soap on top. 2. Fold net in half around the soap and rub in circles about 10 times. 3. Remove soap from net and lather until a dense foam is formed. Being careful not to spill any, wring out foam onto one hand. 4. Gently rub foam onto skin and rinse well with lukewarm water. Q’Sai’s original moist bubble formula※ makes it easy to make smooth, bouncy foam for a foam cleanse that is gentle on the skin. We believe in the importance of only selling a product if we can feel its results ourselves. Under this motto, we have experimented repeatedly and offer only the products we are satisfied with. By developing products that meet the three requirements of safety, real results, and ability to resolve serious issues, we hope to contribute to the health and happiness of Asian women.